I have a very long story, but I am hoping that if I get this story out I can get some kind of help or advise. A week after giving birth to my son last year, my 52-year-old dad had a very bad stroke. He was taken to the emergency room and from there he was taken to San Francisco for emergency surgery. They told us he had very little chance of making it. Well he made it, the part of his brain that controls speech and balance was damaged, so he now has aphasia (he cannot communicate). He was in the hospital for a couple weeks and then rehab to try to learn to walk and talk again for over a month. He came out and the first thing he wanted to do was drink (which is what got us here in the first place). He has been diagnosed with cirrhosis of the liver among many other issues. Let me give you a little bit of a back-story on my relationship with my dad. My mom and dad divorced when I was just a baby. But my dad has always, pretty much been in my life, although his drinking and girlfriends were always put ahead of me. He has always been an alcoholic, as a teenager I had very bad anxiety partly because I would worry about him constantly. I moved in with him around 17 or 18 years old (partly because he was always at the bar, and I could get away with anything I wanted to). When he would get sick it was this huge deal going to emergency rooms, making sure he took medication. And who did all of that, me. I had to make sure he went to a doctor; I had to make sure his medication was picked up and taken. And then a couple weeks would go by and he would feel fine, so he figured, “hey no reason to go back to the doctor”. This would happen a few times a year, and I would have to clean up this mess. When, my now husband and I moved out, I still would try to help him out whenever I could. This has gone on for years. He would even get into these depressed moods and threaten to kill himself. I can’t count how many times he would have his shotgun in his room…threatening to use it on himself. Whenever I would go check on him, my biggest fear would be to find my dad dead in his room. In my mid-20’s, one of the nights I broke down crying to him, he told me, “I don’t care who you are. I am not going to stop drinking. Alcohol is more important to me that you are.” That conversation right there changed me and the way I looked at my dad forever. Why try to help someone who doesn’t want help themselves? But he is my dad, and I love him very much. Excerpt: “Alcoholics really have a tendency to put the alcohol first in their lives and people second. Some people in AA refer to this as romancing the bottle. They also say that they had a love relationship with their booze of choice. Even though we may not get the love we desire from them, we can learn how to love an alcoholic without conditions. So back to the present. My mom (his ex-wife) is now taking care of him, in her home with her present husband. I have a 5-year-old daughter and 1-year-old son, I work full time and still try to be a full time mom and wife. So me taking care of my dad is pretty much out of the question, and I am grateful for my mother and everything she does. But here is where the issues start. My 5-year-old daughter is anxiety ridden, she worries about grandpa constantly, she has really, really bad panic attacks only when she is around him. I think it’s partly because of conversations she has overheard about his health and by what she has seen. My dad gets these violent outbursts. He is like a huge child, he wants to drink all the time, he wants to smoke, he wants to do what he wants to do. After all he was used to this single bachelor lifestyle before all of this happened. But he will yell and try hitting and pushing my mom. She has tried for the past year to keep him from drinking and smoking, but finally after a year of her sanity and health being put to the test, she has given up, and I don’t blame her one bit. What else can we do? Part of my issue is that I am so angry with him. And I don’t know how to get over this anger. I am angry he has choose alcohol over his daughter, his grandchildren, I am angry he is putting my mom thru all this stress, including her marriage and happiness being put on hold for him, I am angry he has all these people bending over backwards to help him and keep him alive and he doesn’t care not one bit. He has at least 3 different doctors appointments a week…along with appointments and paperwork with social security and welfare, and my mom has to take him to all of these appointments, along with watching her 2 grandchildren. My step dad and mom sometimes give me a huge guilt trip because #1, he should be my responsibility. Which, he is, but with two young children, a husband, a house and bills stacking up, I would have no time. I hate to say it, but if no one else where around, he would be in some kind of state facility. And #2, because I can be so cold at time towards him. Nobody knows what it is like to have a father like this, especially one who flat out said ALCOHOL IS MORE IMPORTANT THAN YOU ARE. Worrying, stressing every day of my life made me miserable so I finally just gave up. I can’t get over the fact that we are helping someone who doesn’t care and doesn’t want help himself. I am a very loving, caring person. But my relationship with my dad and our past makes me totally different to him. Excerpt: “Just knowing in our hearts, the truth is “we love them,” is going to have to be good enough for me and you. I am DROWNING in stress right now. I don’t know where to turn, what to do, how to make myself better while being in a constant state of anxiety. Worrying about my children, especially my daughter with her anxiety, worrying about how my mom is dealing with all of this, worrying about my 70 year old grandparents who help out also, worrying about myself, worrying about my husband and my step dad and how they are handling being married to these two woman who are under loads of stress. And last but not least, worrying about my dad, his health and his future. Right now I need advise, help or even people with similar stories so I know I am not alone. You are not alone. My husband (maybe just a heavy drinker??) and adult son (42 years old) are both alcoholics and we all live in the same house. My son has stage 4 cancer and told a few months ago that he would be dead by the end of November. I am a Christian and believe only God knows when a person will die, so not sure but signs are that something isn’t right. My son is on T19 cause he can’t hold down a job for several years, he’s had a couple but the last one was a 1 1/2 yrs ago. In September my son went to a dr. apt. and when he came back home I knew something was wrong but he didn’t tell us the truth. He did say that some of the tests that he had taken were showing something, so they kept him longer to do more testing. He said he had another appointment with a doctor who wanted to do some tests but he never went back for those tests. I was thinking it was something with his pancreas due to his drinking,cause he had part of it removed a few years ago. I now find out thru accident what they told him. I thought he was just mixing his pills that the doctor gave him with alcohol and he’s fallen within the last couple of weeks and I thought he was passed out. I wish I would have called the ambulance but his dad said no – let him sleep it off. He’s ended up with 2 black eyes and his nose keeps running with these falls. I can also tell he’s losing continence and doesn’t make it to the bathroom in time. I understand alcoholism is an illness but he could have gotten help and this wouldn’t be happening right now. That’s the part that makes me angry but I do love him and I know that thru God I will survive. Thanks for your brave story. It is my story as well. There are two things I want to encourage you to think about. First, please find an ALANON meeting.. Ideally, try to go to 90 meetings in 90 days, make it your life. It will save you. The second thing is, and this will be hard to grasp. At least it was for me. Love is not enough. I love my alcoholic. Deeply. But that still doesn’t make a marriage possible. He has chosen alcohol over everything else. That is a deal breaker. Sadly, I must move on. Just because you love your dad doesn’t mean you need to destroy yourself for him. Yes, you love him. But your whole family is committing suicide because he has chosen alcohol over you. Who does that serve? I agree with Mary. I cannot say this enough but you are not responsible for him. Yes he is your father but he is unappreciative and refusing the real help he needs. Your husband and children come first and you can tell your mother that when she tries to lay a guilt trip on you. If she does not want to destroy herself she needs to let go. After all she and her husband are who she needs to care about now. You and your mother care about your father’s well being but he does not care about himself so all your efforts are going to go unappreciated and cause nothing but problems and resentment. If he is not asking for your help and following the orders of the doctor you and your mother both need to let him go or you are just helping him stay on his own path of destruction. Alcoholics and addicts use the guilt thing to control others and convince them to take care of them so they do not need to take care of themselves. These people need to either accept real help and do for themselves or you need to turn away. Do not destroy your marriage and your family and allow this to hurt your children. Please check out empoweredrecovery.com. This website and the book offered on this site puts living with an alcoholic into true perspective and helped me to make the right choices to free myself and my children from the pain and the destruction my exah was causing our family. God Bless and take care. You have a lot of decisions to make but you need to seek the truth before making them. 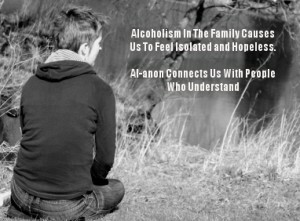 And Alanon or any other support on alcoholism could be your guide. Let go and let God. Hi love, unfortunately you have fallen in to the trap than probably all of us have with dealing with an alcoholic. Enabling an alcoholic. I have been in Al-Anon for nearly a year now and it has saved my life and my childrens. I know it’s hard to juggle when you are working fulltime and have little ones. I hope you can put yourself first despite the huge anxiety and terrible thoughts that you will be experiencing and get the self care you need. Your worth it. Much love. Hi. Can anyone answer this for me? A bit off topic. When my alcoholic boyfriend drinks, he doesn’t eat until he is done drinking for the day/night. When he finally does eat within a bit of time after eating he gets really verbally nasty and carries on and on and repeats himself a hundred times. Has anyone else been thru this? What is the connection between eating and his mood? Thanks. Hi Amy, My ex ah used to do this exact thing. I know he used to tell me he would not eat while drinking for fear he would lose his buzz. The alcohol does get directly absorbed by the stomach lining and that is why alcohol effects are so quickly felt especially on an empty stomach. Yet when and if he finally did decide to eat for the night he was very nasty also. Ordering me to make him food or else, even waking me up in the middle of the night and demanding i get out of bed to cook for him. Then making nasty comments about the food if/when he ate. I say if because sometimes he would pass out and never did eat. then when he awoke it was always my fault he never ate. Boy am i glad i do not have to deal with that anymore. But… to answer your question I am not certain why he would get so nasty except maybe because he did not feel well. I am sure he felt sick and hungry and I know children get crabby when they are hungry so i am sure it is probably the same issue. Also, he is probably angry at himself for doing that to himself once again and is lashing out at you to find someone else to blame since that is what alcoholics do. After eating could also be making him come around and lose the euphoria he feels while intoxicated. So reality is setting in and he is angry about that I am sure too. Drunks do not like to get sober. Thanks for your reply Julie. Much appreciated! Hi Amy, My experience is they are nasty per se. Yes I agree with Julie21 around not eating so they get the max buzz from the alcohol, max numbing/suppressant affect for all the stuff/pain. Low self esteem, self hatred, worthless feelings they hold inside. I think the food thing probably in itself isn’t the trigger. But again like Julie said perhaps yes when they are coming off the ‘effects’ and that pain is seeping back in, nothing has changed, they are still unhappy, plus add to it whatever other integrities they have crossed while being intoxicated incl. drinking in itself, the nasties kick in. My ah is consistently nasty. I realise he actually chooses this as he gets relief from shitting off. I spoke to him one morning after about how he felt about being so verbally abusive and he said he felt relief. So I said what about how it feels for me. He said ‘well if it’s true (the accusations) then I hope it hurts and if it’s not i’m sorry’. But he has continued the same behaviour plus some other ones to go with it. Al Anon keeps me sane + a bunch of other tools. He’s your FATHER…not your CHILD. Keep coming back to Al-anon and you will find a life so rich, one you never knew existed. Everything an alcoholic says is a lie, except what your dad told you. Yes, alcohol is the most important thing in his life…more important than you. That is the truth. Thank you so much everyone. I really appreciate your comments and thoughts. It makes me feel sane. My mom makes me feel insane the things I do and say or “how cold” I am towards my father. So just reading all these comments makes me feel that much better. I have looked up al-anon meetings in my area, there are a bunch of them, so I am planning on starting those really soon. Hi I think that you and everybody needs to STOP taking care of your father. You ALL are the perfect codependents. Why would he ever quit drinking or get better if you all take care of him. He has NEVER suffered any of the consequences of his behavior!!! You need to take care of yourselves. Hi this is my first time posting here. I just started dating this guy about 9 months ago. He has a serious drinking problem and last night we reached a new low point. I called the police on him to have him escorted out of my apartment. I was scared and I’d been drinking too and I thought that was the reasonable thing to do. I spoke to him the next day and it was clear he’d been drinking. I’ve been dealing with him long enough to know not to bring it up and start a fight but he still persisted in accusing me of things I didn’t do. I’m really confused about what to do next. I care about him a lot. He’s lovely when he’s sober. He’s charming, engaging, passionate and fun but when he drinks he becomes angry, paranoid and irrational. He’s intelligent enough to admit that he has a problem but he doesn’t believe he can afford to do anything about it. His drinking has compromised his job and he’s in a tough financial situation. I love him enough that I was considering marrying him so he could be on my health insurance plan but luckily that hasn’t happened. He has to find an new apartment in a few days. His son is coming to visit him for the holidays and I’m worried about how he’s doing. I want to call him but I don’t want to hear him try to blame me for what happened. I know we need sometime but I just don’t know if we have a future at this point. I love him but I don’t know if I’m prepared to make the kind of sacrifices I may make in order to be with him. It feels like it will be years before I get the man I fell in love with and there’s no guarantee that he will pull through. So how do I make the right decision? How do I keep him in my life without making my self vulnerable, codependent or enabling? Is it ever possible to really be in a loving relationship with an alcoholic? There will be many Lows, and you will experience things in your life you can’t even imagine . This is a progressive disease, this will get worse not better. They accuse you of things to get the focus off themselves and on to YOU. All alcoholics throw blame around, nothing is ever there fault. It is hard to be in love with an Alcoholic , when sober they can be kind , loving and everything you could ever want, when drinking they can be angry, blaming, down right insane. Mine admits all the time he has a problem, goes to A.A for a week sometimes less them he goes right back to drinking. Alcoholics cannot give you something they don’t have to give. 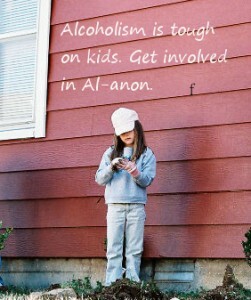 Might I suggest you go to Al-anon and begin to read everything you can on alcoholism. Alcoholics are very sick people and we ourselves become sick living in this chaos with them. We become obsessed with there behavior, angry, resentful, manipulative,living in a alcoholic home will take you places you never thought you would ever go. I totally agree with Amy. Thank you Julie21 for suggestion to get info and help on empoweredrecovery.com. I will definitely check that site out. Th Al-anon meeting times in my area make it impossible to attend.